Fishing is a necessary part of our life which refreshes your mind. Sometimes fishing rod creates unusual problems one of them is spooled a spinning reel. Do you know how to spool a spinning reel? It is easy to spool spinning reel and also important. The Spinning reel can gather mono filament line and fluorocarbon lines. If you can spool a spinning reel correctly that helps you to cast more easily because of the line behaves better on the reel. Without calling someone to spool your reel there was some easy way to spool. This is why the article is written, so you can make up your own spool on a spinning reel. 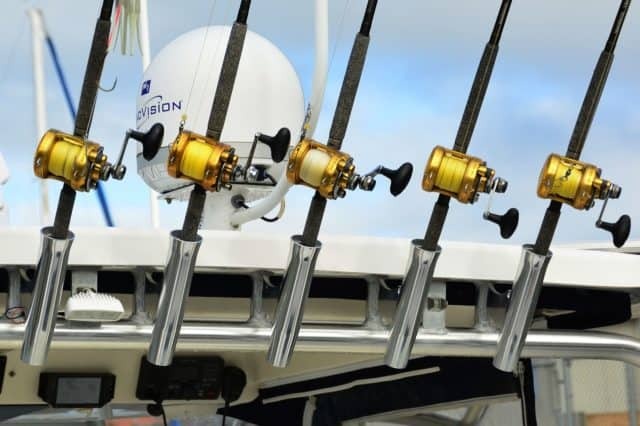 3 Which type of line is the best for spinning reels? 4 What are the types of reel for fishing? 5 What are the types of knot used in fishing? Now you can learn the most common and easy way to spool. The ways to spool your spinning reel are given below. You have to hold your fishing reel tightly and have to watch out the way bail turns. The line will be spooled on the reel in this way. When you change the direction of reel then spool will be peeled off on the time of casting. The Reel is generally designed to hang on air with a connection from the rod. You should use the proper way to hold the reel during casting. Don’t hold reel when you are reeling with your other hand. You should have to notice the bails spinning direction. You should concern about the line of filler spool. So when you peel off the line it will backward in the same direction. You have placed the filler spool on a flat surface then hold the line and see how is coming off. You can manage it with help of a person who can hold it stand a short distance from you. You can use a uni- knot or arbor knot to tie the fishing line and backing it up on the reel. So you have to knot a regular handy knot at the helm of the line. After that warping the line around your spool you have to tie another overhand knot with the standing line as it comes onto the spool. You have to slide the knot down so that first knot will stand outside second knot. Then you have to pull the knot tight to secure the knot and cut off the end of the line. It is necessary to keep extra few cms of the line that can help you to tighten the knot when you need to be. Then you have to start reeling. Hold your one hand on the reel and use your other hand to give some tension or you can slightly raise the rod or you can use both methods. Either a friend can help you by holding it to your reel spool. You just have to make sure that the way your line coming off the filler spool matches with the direction of the reel spool spins. If you have no intention to twist, then reel spool will come back on the line in the same way it pays off. You shouldn’t tight the line, let the line go slack and check for twist. By un-spooling from the reel spool, you can make sure there is no twist and flip the filler spool over and start again. It is very important not to fill the reel right to the top. You have to fill the reel spool 1/8 inch or 3.2 mm of its frame. Over-spooling or under spooling problem stars from this type of fault that causes a lot of twist and cast problems. As much as line overfilling it will absorb more water that causes slip past the flange during casting. Under filling causes friction problem in line. This is the final process of spool a spinning reel. Once all the works have done then you need to cut off filler spool line. Then the line twist with to the guide, then tie on an alluring bait and finally make yourself get ready for start fishing. I hope now you can clearly understand how to spool a spinning reel. Which type of line is the best for spinning reels? What are the types of reel for fishing? What are the types of knot used in fishing? When you make A plan to trip for passing your leisure time it is a better way to think about fishing. Fishing excites us all. After catching some fish, it will be very enjoyable like a picnic. You can feel the satisfaction inside you that will give you jolly mind for next few days. But fishing is not an easy task like drinking water. Like any work to be done successfully you need to be experienced as well as an expert. You may have the best reel, rod, fishhook but it is very important to know how to use a reel properly. If you cannot knot the line properly you will not reel properly. the reel is necessary because of it will make sure that how fast you can move the line up and down. If you are a skillful spinning reel user, you can catch lots of fish throughout the year. And your time in the water with the spinning reel in hand will much more enjoyable.